What exactly did renowned U.S. writer and art collector Gertrude Stein mean when she said “there is no there there” about Oakland, California? In honor of Gertrude Stein’s 138th birthday today, we explore the meaning of this oft-quoted phrase. In fall 2011, I attended the SF Museum of Modern Art’s exhibit of Stein’s groundbreaking Paris art collection. At the exhibit, a small display about her childhood in Oakland, California, sparked my interest. I was born in Oakland, and I’m currently writing a book about Oakland. 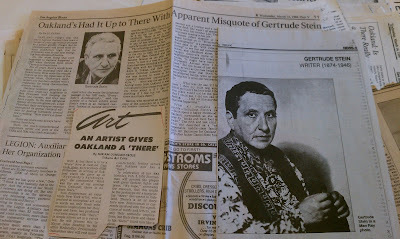 I wondered what it was like for Gertrude Stein growing up there in the 1880s. I purchased The Autobiography of Alice B. Toklas from the Google eBookstore to read about Stein’s experiences in Paris and San Francisco with her companion, Alice Toklas. The more I read by Stein and saw how she plays with language, the more I wondered about the meaning of her “no there there” quote. Searching the Google News archive, I found that dozens of articles over the last several decades used her quote. Searching Google Scholar, I found over 1,000 scholarly articles referencing her quote. But still, I wanted to learn more. 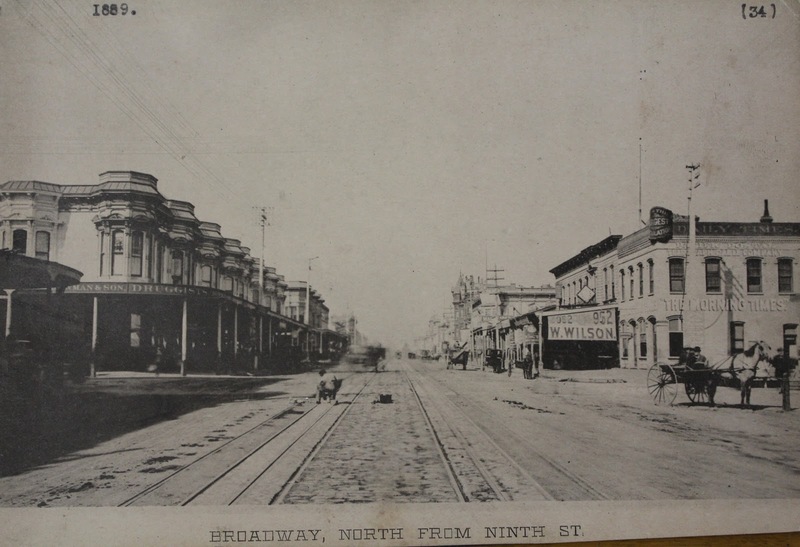 What was Oakland like in the 1880s? I went to the Oakland History Room at the Oakland Main Library to find out. Newspaper clippings from Stein’s file in the Oakland History Room referencing her “there” quote. 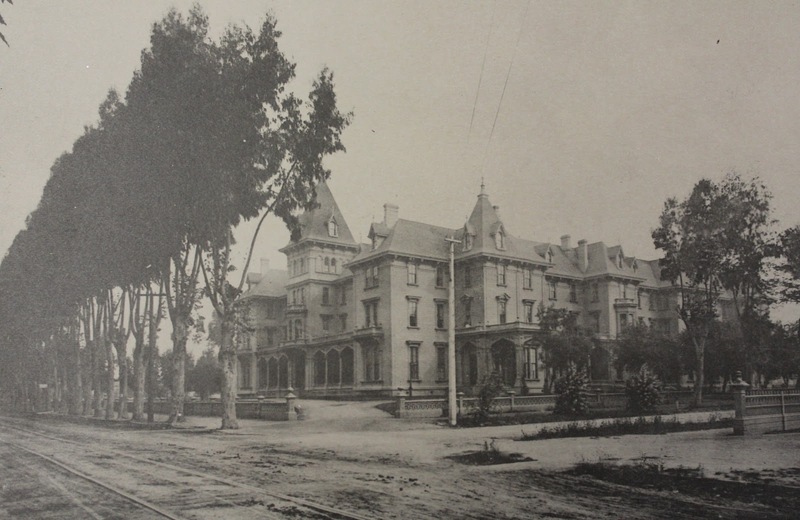 Stein’s family moved to Oakland in 1880, when she was six, and lived at the Tubbs Hotel their first year. Author Robert Louis Stevenson also stayed at this hotel from March to April, 1880. Her family then moved to a home near today’s 13th Avenue and East 25th Avenue. She lived in Oakland until 1891, and left at age 17 for Baltimore, after her parents passed away. 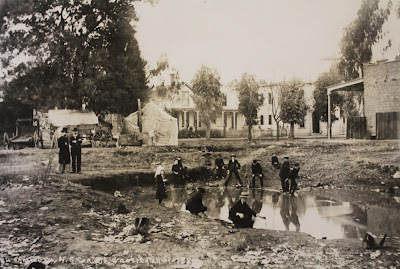 Oakland was a much smaller town then, with a population of just under 35,000 in 1880. Nearly 45 years later, Stein returned to Oakland on a lecture tour in 1935. By that time, the city had grown nearly 10 times to over 300,000 residents. When she tried to find her childhood home, it was no longer there. When she published Everybody’s Autobiography two years later, saying there was “no there there,” it was an expression of “painful nostalgia” about her home being gone and the land around it being completely changed. The house where she grew up was on a sprawling 10-acre plot surrounded by orchards and farms. By 1935, it had been replaced by dozens of houses. Oakland held a special significance to her, and on her return, she found that Oakland had urbanized and changed from the pastoral place she remembered. 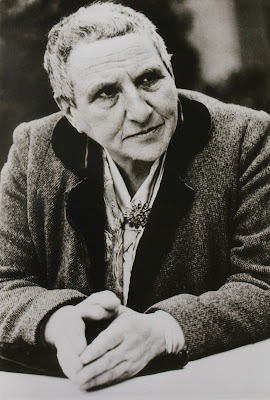 Gertrude Stein writes in her autobiographical novel, The Making of Americans, about her childhood in Oakland, where a child “could have all anybody could want of joyous sweating, of rain and wind, of hunting, of cows and dogs and horses, of chopping wood, of making hay, of dreaming, of lying in a hollow all warm with the sun shining while the wind was howling.” She won her first literary award as a student at Franklin School in Oakland for a piece she wrote about the sun “setting in a cavern of clouds.” Returning to her home decades later to find it gone and to find Oakland no longer a place “of chopping wood, of making hay” struck her, and she wrote her famous “no there there” quote in response. When researching Stein at the Oakland History Room, the literary portrait file had photos of Jack London, a contemporary of Stein’s, who also grew up in Oakland. The file included other famous authors who visited Oakland in the late 1800s, including Mark Twain, Robert Louis Stevenson, and John Muir. Despite the misinterpretation of Stein’s quote, there has always been a “there” in Oakland. Oakland has been blessed with several waves of artistic movements, stretching back to these authors. And in interviewing innovative artists and writers in Oakland today for my forthcoming book Oakland in Popular Memory, I’ve seen first-hand that now more than ever, there is a “there” in Oakland. Thanks for the explanation of the "no there there" quote. I've heard secondhand about the actual context and meaning, but this is a more detailed account. I can't imagine what Stein would say if she saw Oakland today, though perhaps she'd be somewhat heartened by our budding urban gardening movement. In a conversation today with a literary British colleague, he used this quote--"there's no there there," Gertrude Stein, to add to my description of Los Angeles, which, even we Americans know was totally changed from a city into a sphagetti-like system of limited access freeways... when GM bought up its rail system to sell their cars. Perhaps he had been reading the Google Blog! I had the same experience as Gertrude Stein did when I saw my early childhood home on Google Earth/Maps! 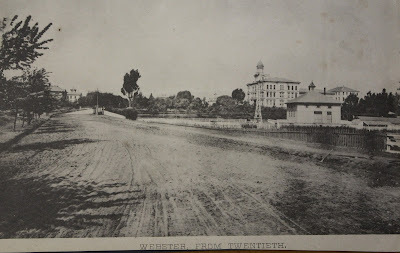 The whole street has changed including the landscape. A mountain has been carved away at the end of the street and made my childhood street a divided cul-de-sac, going nowhere. There is no school over the back fence, but a bland estate crammed with cheap modern houses- my remembered "there" is not there, it only lives in my brain/mind. I never understood what Stein meant until today- thank you! I was working on a radio program about Oakland in the early 2000s and we decided to do a story about the 'oldest building in Oakland'. It was amazing, there were no buildings older than, say, 1900. Almost all of them had been razed, including the lovely Victorian houses along Lake Merritt. Even the beautiful houses near Park Blvd were more recent. In effect, Oaklanders had decided that 'old' = 'bad' and expunged their prior landscape. I could completely understand Stein in that context. Incidentally, we were finally able to identify the oldest building, it's a brick railroad car barn close to the 880 onramp near the old railroad terminal station. (abandoned, yet still beautiful... see? The trend continues even now.) That was then. If memory serves (I no longer live there), that building has come down too.